Show # 108 Interview with Marc Zimmerman, Founder Of The Social Express! On Monday night at 8pm, be sure to tune in for our newest episode with Marc Zimmerman who shows how a Computer Program can help so many children with Communication and his Desire to help by creating this program is an inspiration to the Autism Community. 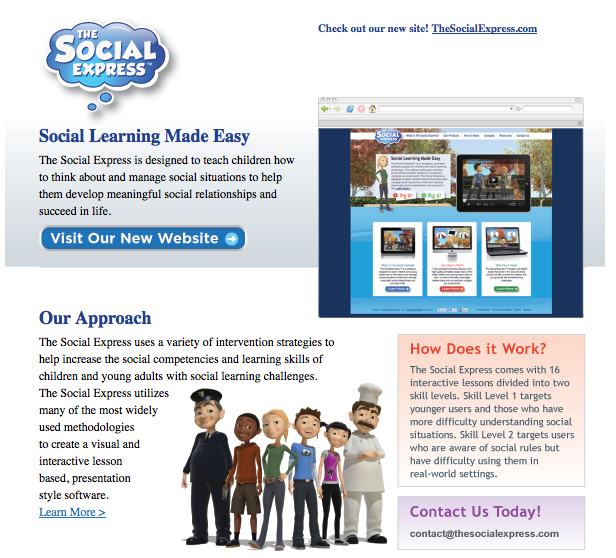 Marc Zimmerman, CEO and Founder of The Social Express, discusses this unique interactive software’s approach to help kids with autism, ADD and other life challenges with a multi-dimensional and fun approach to social and emotional learning skills that prove challenging for kids with these disorders. Marc has been working with his twin autistic sons in all aspects of therapy and education planning, successfully helping them to transition from the special education classroom to the mainstream classroom. Previously, Marc was founder and President of Critical Digital Data, Inc. (CDIX, OTC:BB), an online data storage company; CEO of 1st Financial Home Loan Services, a high-end boutique mortgage brokerage that was sold in 2005; and CEO-Founder of PineappleHut Real Estate, a multimillion dollar-producing real estate brokerage. Marc attended the Berkeley School of Music in Boston. He is a highly accomplished keyboardist, pianist, and composer with worldwide recording and touring credentials.